Many hosts across Wine Country are setting up beverage stations at events and parties where their guests can get their own drinks. It’s informal, fun and takes a lot of the pressure away from making sure everyone at the party has what they need. 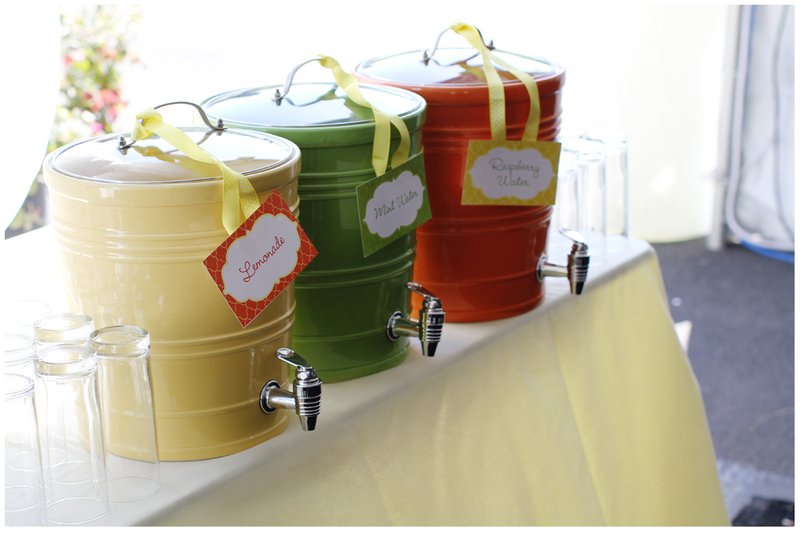 There are so many beverage containers out there right now for sale or rent, and with that in mind, we decided to put together some of OUR favorite beverage station ideas that you can use for your next party. 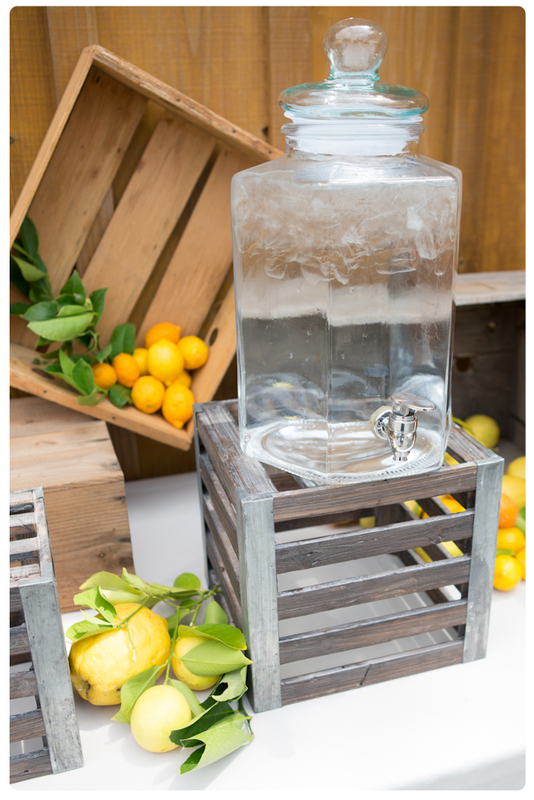 Use a clear beverage jar and stand it upon crates or boxes for height. Decorate the area with fresh fruit or floral arrangements. This beverage station is designed for wine or margaritas. 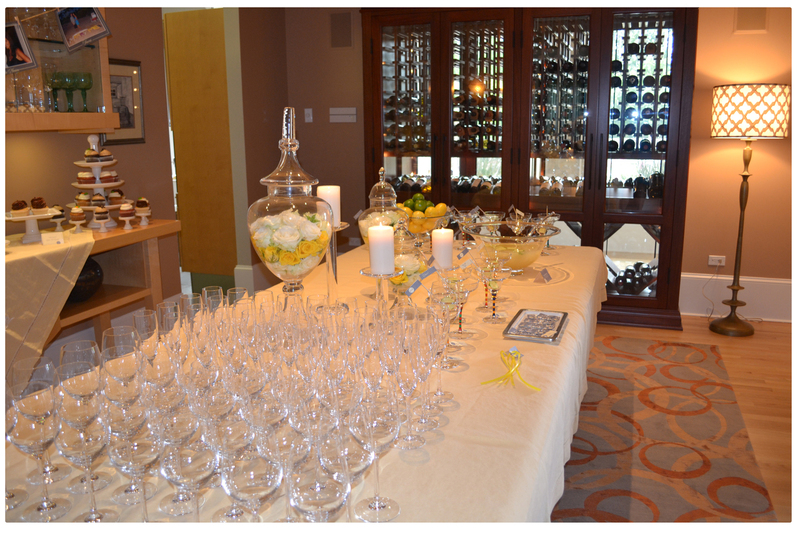 Set up all of the glassware and use appropriate décor to match the theme of the event. Just like we did here! What a cute idea for a race theme party. These are our colored ceramic beverage containers and they come in apple, lemon, tangerine and cherry. 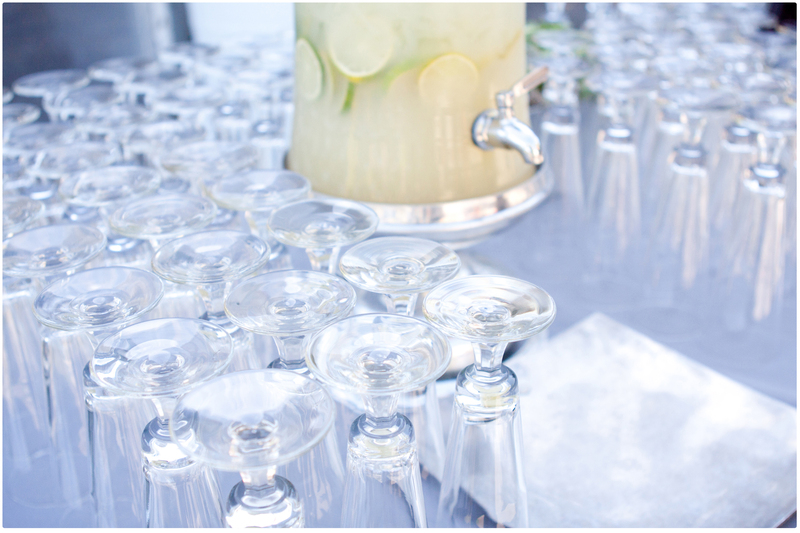 Here, our clients used our clear beverage containers and sliced fresh lemons to create lemonade drinks for their guests. The glassware pictured is our footed pilsner glassware. This is another fresh lemonade being served at a classic beverage station. 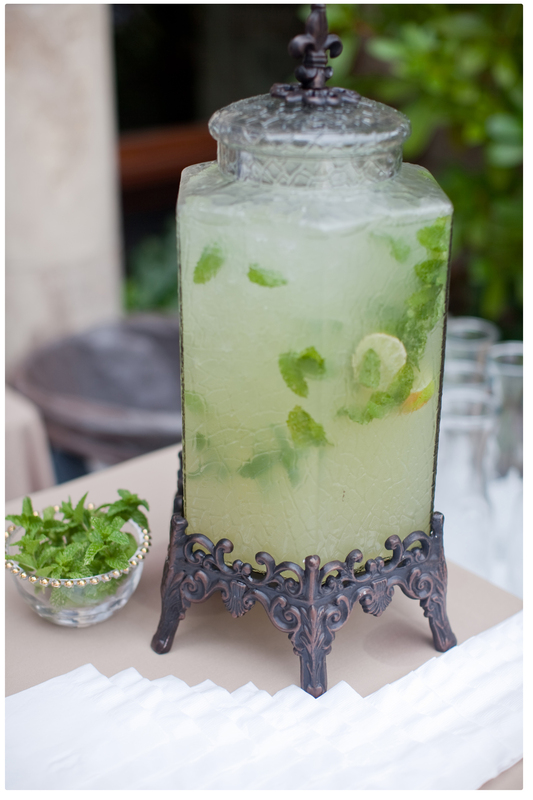 Floating inside this delicious refreshment is lime, lemon and mint. Doesn’t this just look so refreshing? Our colorful ceramic beverage containers make another appearance. This time with cute little signs that identify the tantalizing contents. Finally, pre-made beverages in mason jars with unique labels of the happy couple. Collectable, memorable, and such a cute idea. 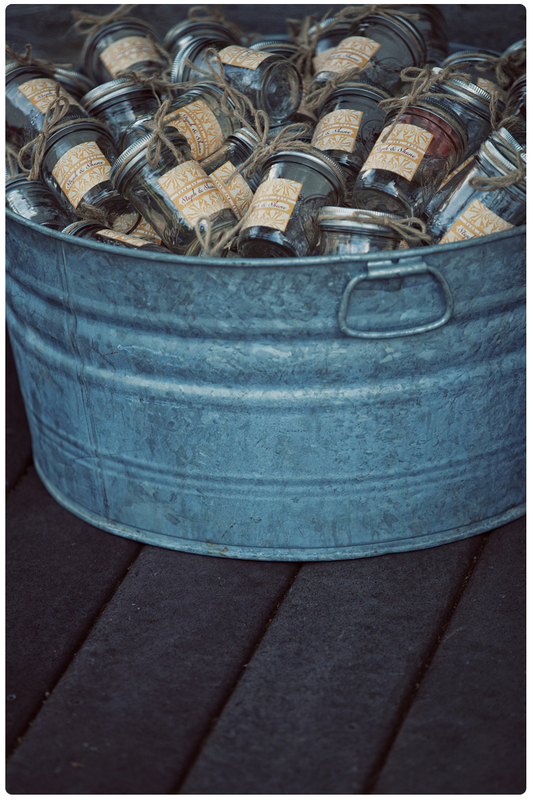 The mason jars were set in our galvanized buckets for guests to grab their own. We love this idea! 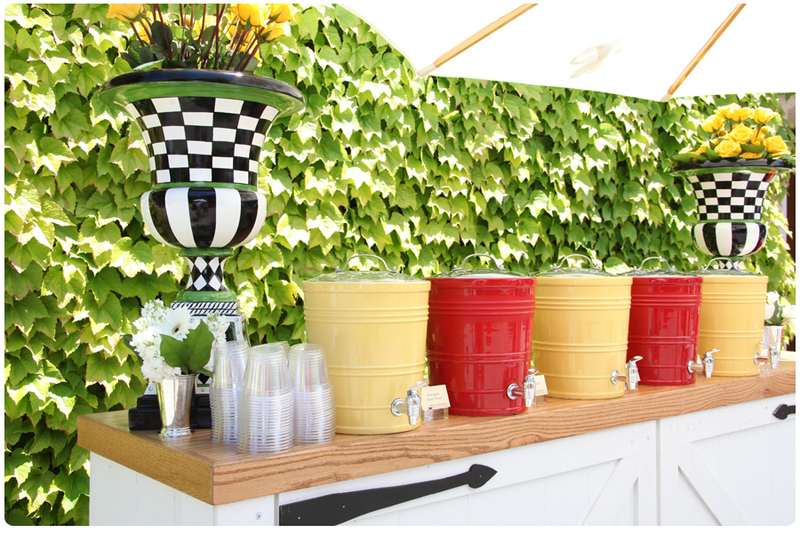 We hope you found these beverage station ideas inspiring! and don’t forget to pin and keep the ones you really love.